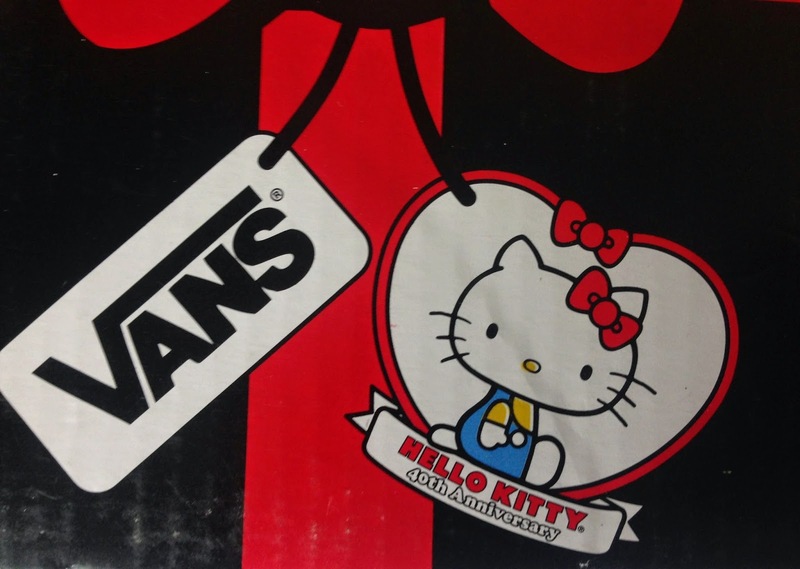 This month I have been loving Vans recent collaboration with Hello Kitty!!!! To celebrate Hello Kitty’s 40th Birthday Vans have released a few new designs. I am a huge Hello Kitty fan & when I found out I had to get a pair of the Hello Kitty 40th Anniversary Vans. 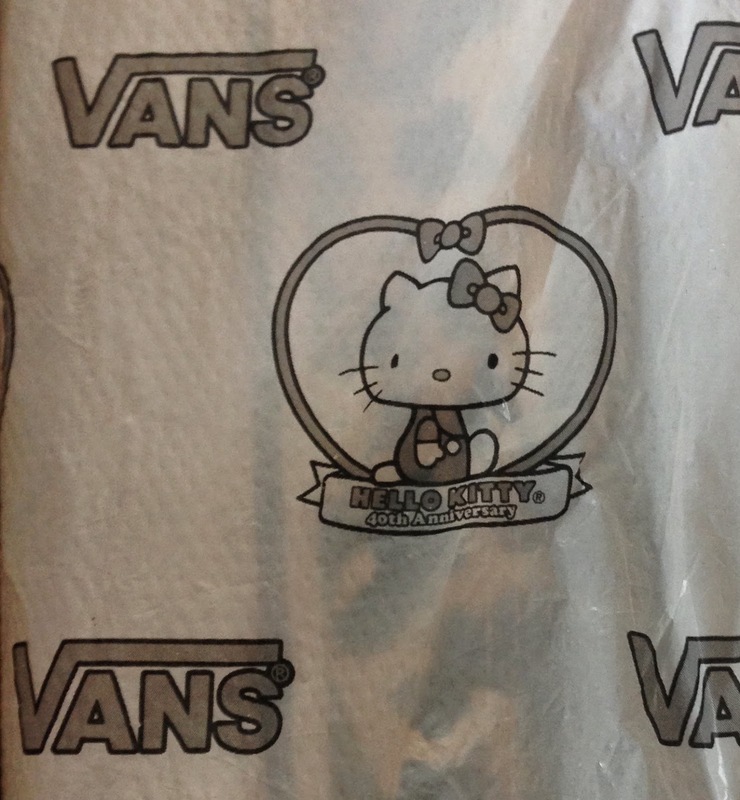 When my Hello Kitty Vans got delieverd I was really disappointed that the shoe box was a bit broken & damaged. The packaging is so pretty!!! I love how the shoe box is made to look like a Birthday present. When you open up the shoe box the wrapping inside has the Hello Kitty 40th Anniversary logo on. Even though the box is damaged I am still going to keep it to store my Vans in because the box is just too cute. I bought my 40th Anniversary Hello Kitty Vans from ASOS & they cost £50 http://www.asos.com/vans/vans-authentic-hello-kitty-leopard-trainers/prod/pgeproduct.aspx?iid=4231283&clr=Leopard&SearchQuery=hello+kitty. As soon as I saw the Hello Kitty Vans on ASOS I just had to buy them. I already own two different pairs of Hello Kitty Vans & I really didn’t need a new pair of shoes, but I couldn’t help myself. I love the leopard print pattern on the Vans & I love the black and white bow on the Hello Kitty. I have been wearing the 40th Anniversary Hello Kitty Vans all month & I haven’t wanted to take them off!!! There are three different designs in the 40th Anniversary collaboration collection. You can get the Hello Kitty Vans in toddler sizes, kids sizes & adult sizes. I am a size 5 & I bought the same size in Vans. I think that Vans are true to size, so if your planning on buying Vans you don’t need to go a size up or down. Vans are a great shoe to buy because they are really good quality, they last for years, they are so comfortable & there is a great selection of colours, patterns & styles. You can get a pair of Vans for £45-£90. Vans are pricey, but they are well worth the money Check out Vans website http://shop.vans.co.uk. If you have bought Hello Kitty Vans let me know what you think & leave me a comment telling me what Hello Kitty design you chose.